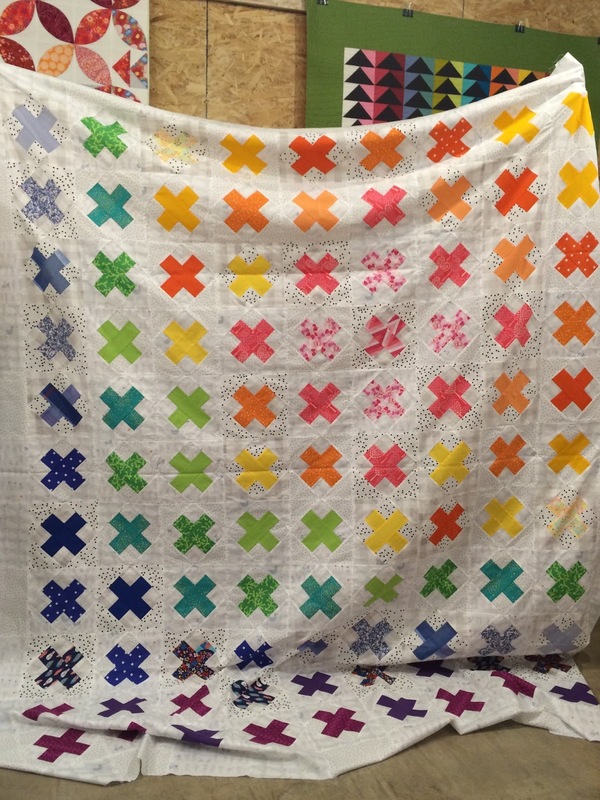 Gretchen's Culture Quilt, for a scientist's lucky baby. 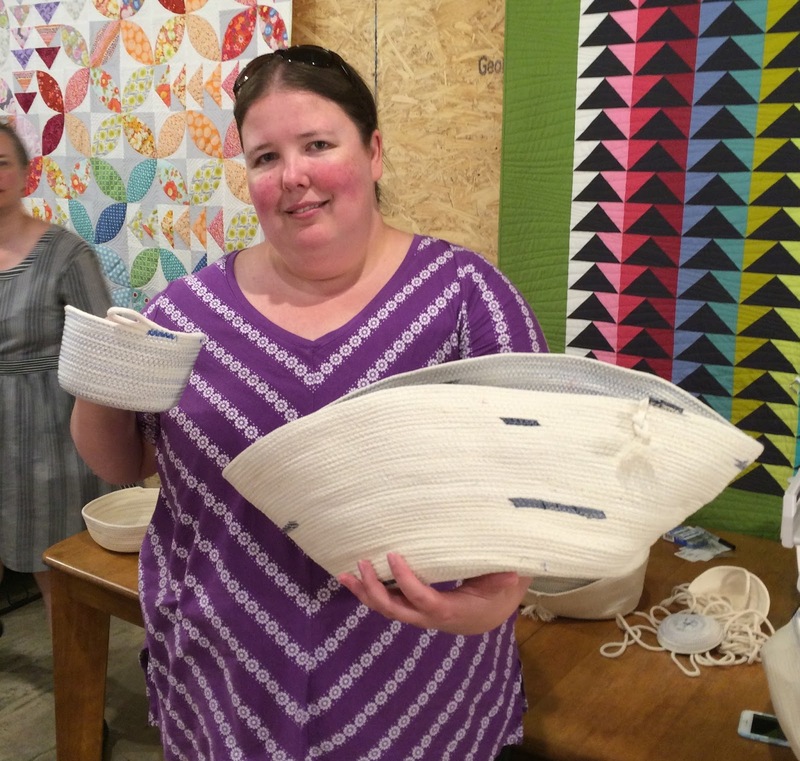 Because she doesn't just make baskets! 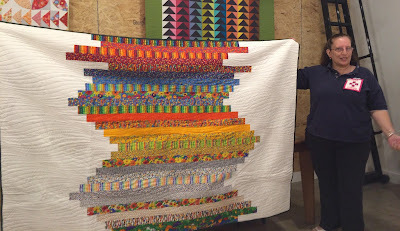 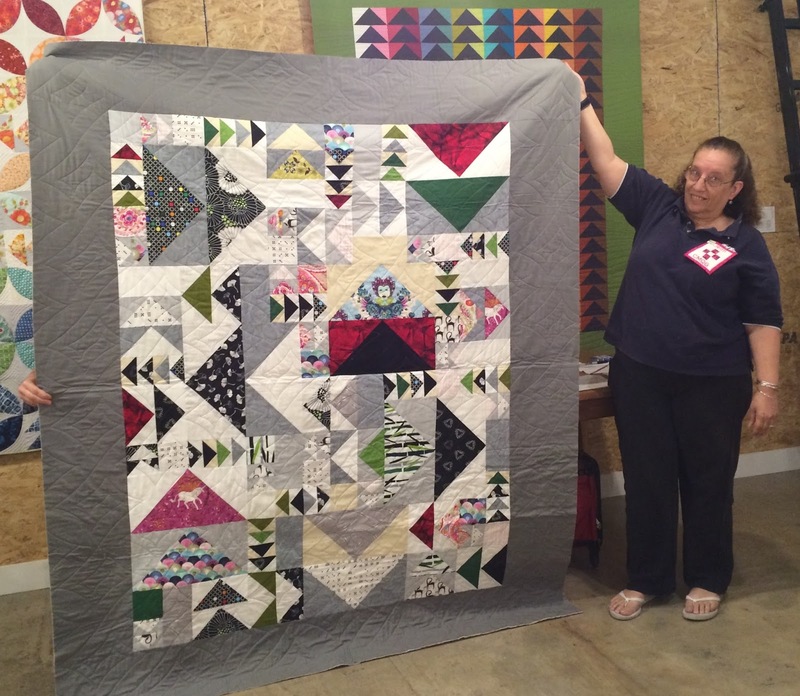 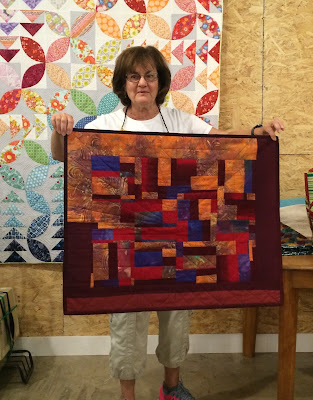 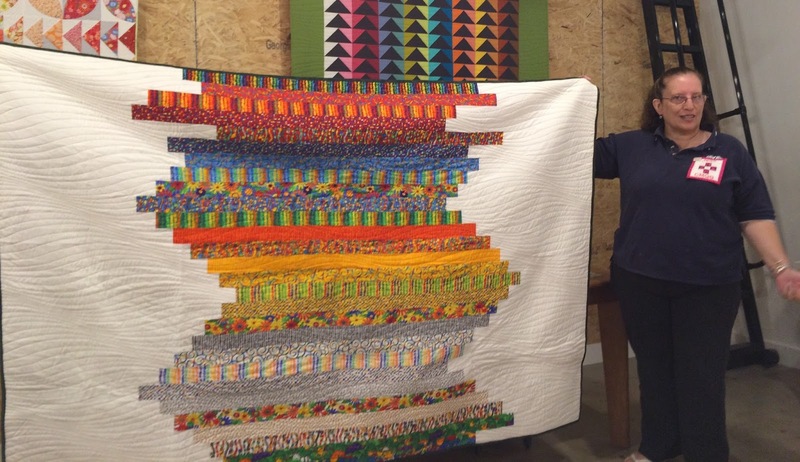 Jean's 24 hour quilt - pieced, quilted and bound in a day. 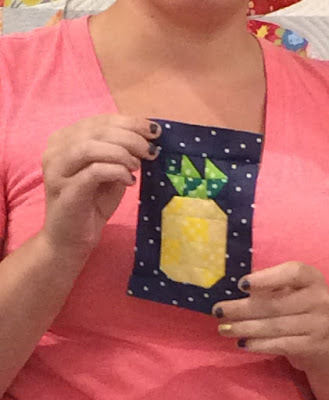 On a WORK day no less. Felicity brought in her lovely star quilt - her first longarm project! 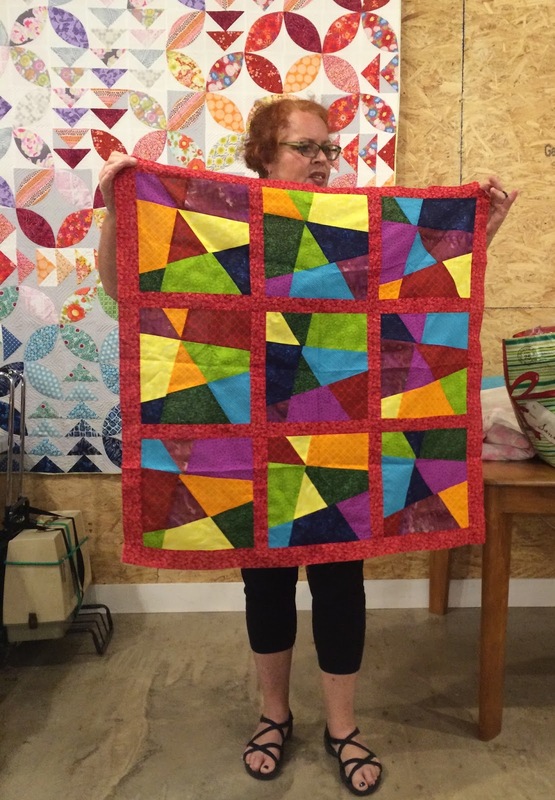 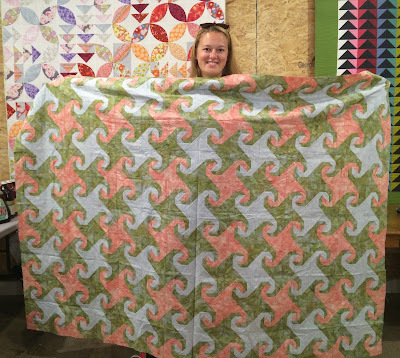 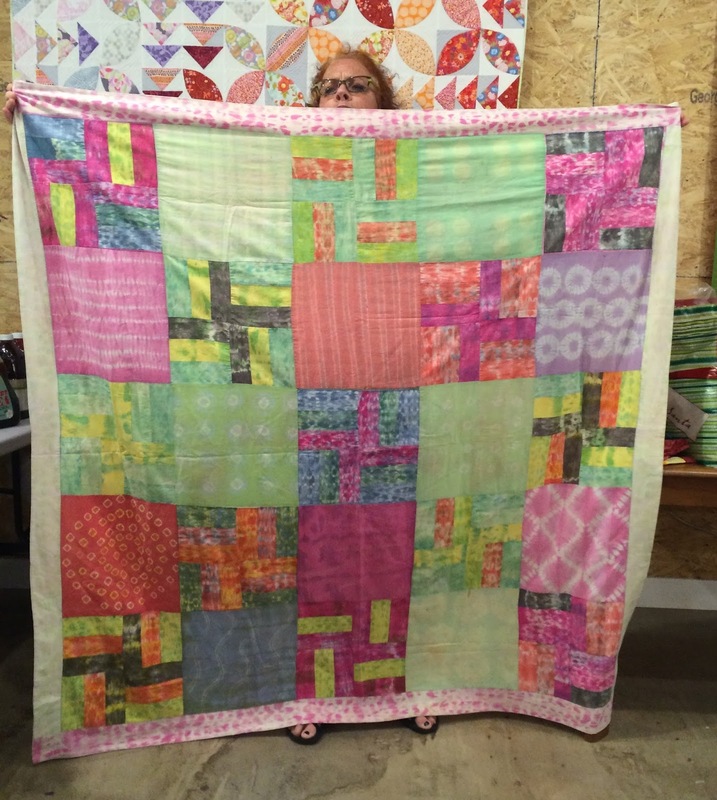 Carolyn had to miss our raspberry kiss lottery, so she went and made a whole quilt's worth. No orphan blocks at her house! 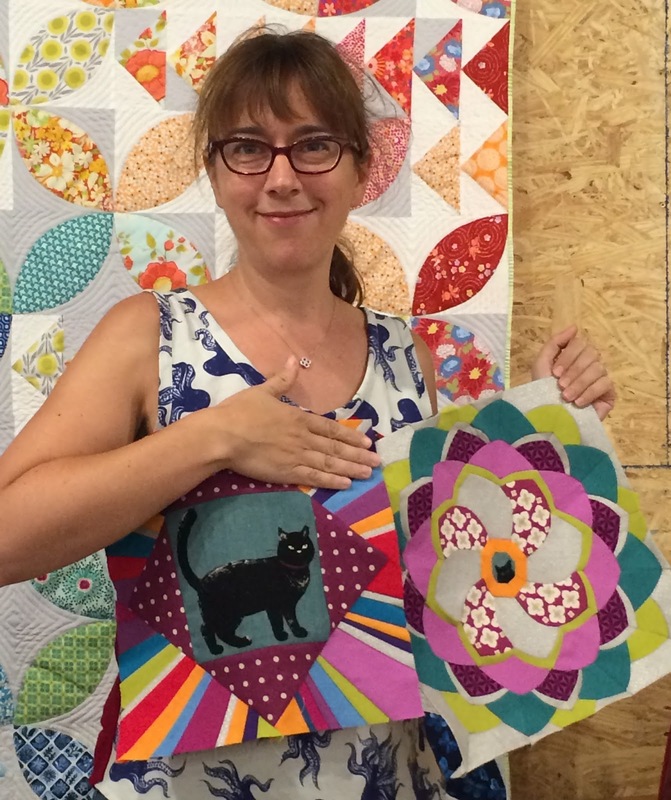 Taz's "I don't even like Halloween" quilt, which inspired much autumn love from the rest of us. Pattern from Sunday Morning Quilts. 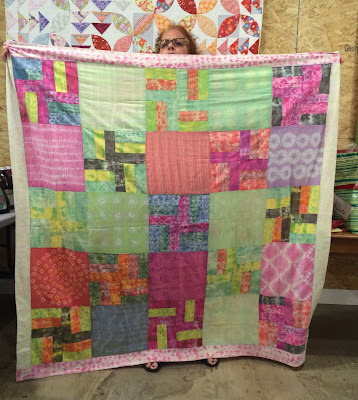 Hildy took a resist dyeing class and this pastel pretty was the outcome. Hildy slashed and dashed this colorful wonder as well. Dalia won around 50 raspberry kiss blocks in the lotto a couple months back, and she's already used them up! 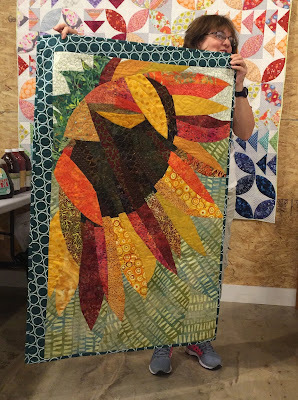 You all did beautiful work on this one! 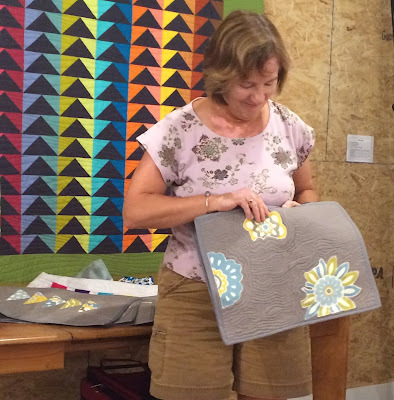 Kim practiced some intricate free motion quilting on placemats for her book group. 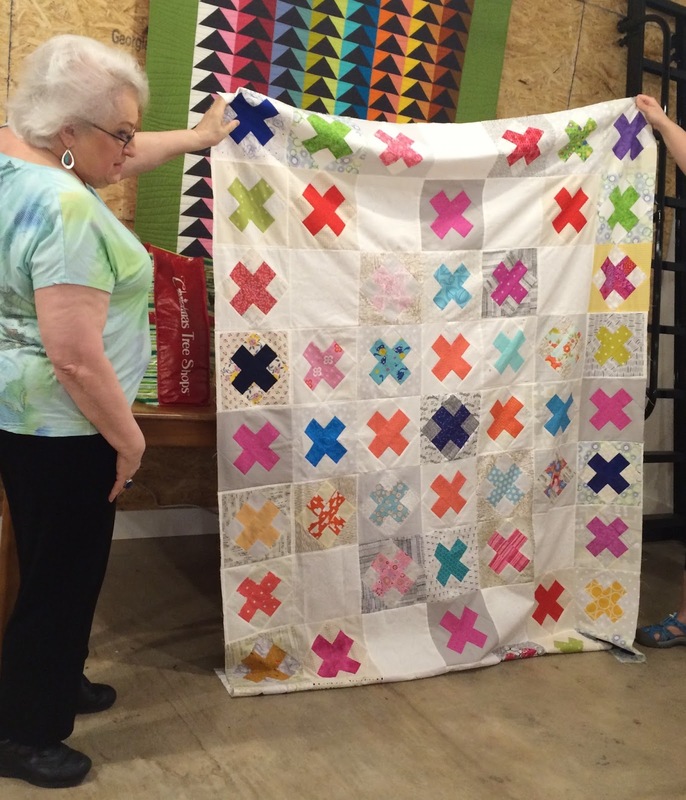 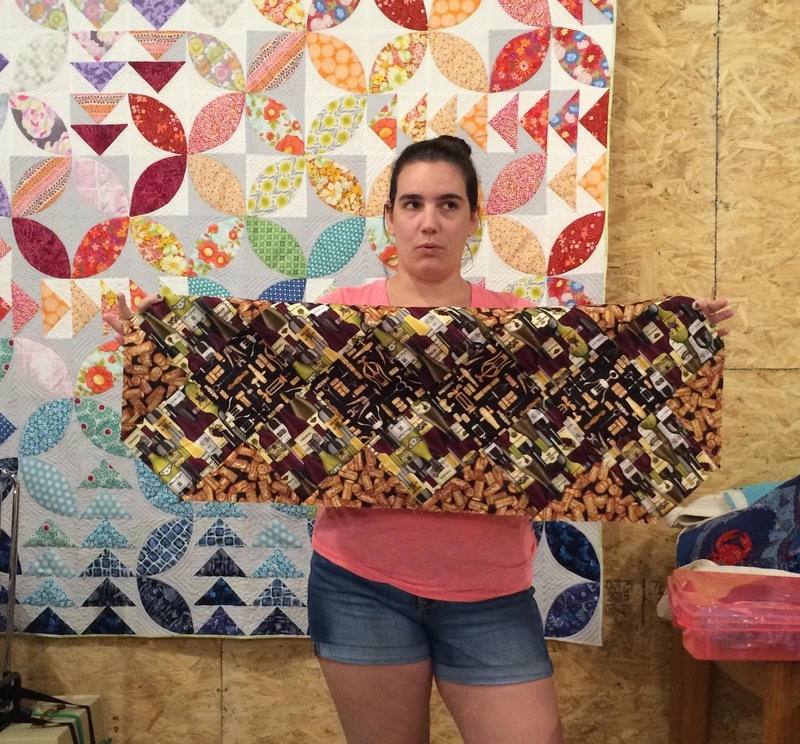 Lisa showed us her very first quilt - Cape Cod. 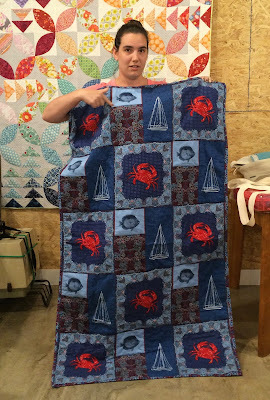 Now she just has to take her first trip to the Cape! 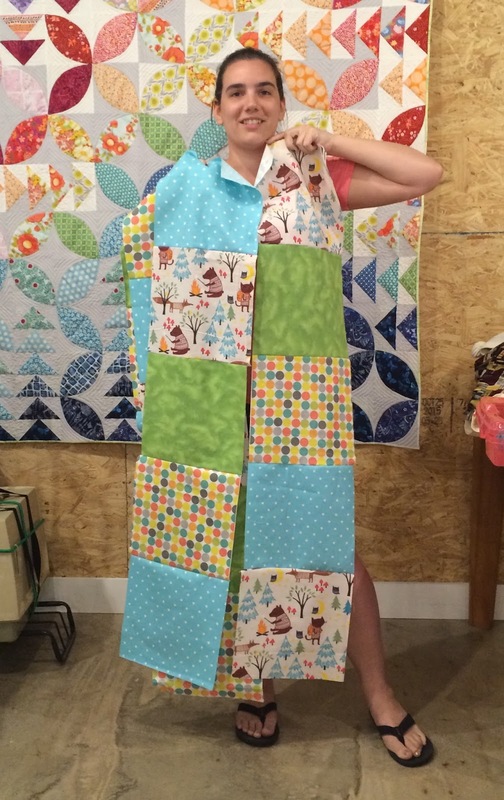 These rows on their way to becoming a kid's camping quilt. 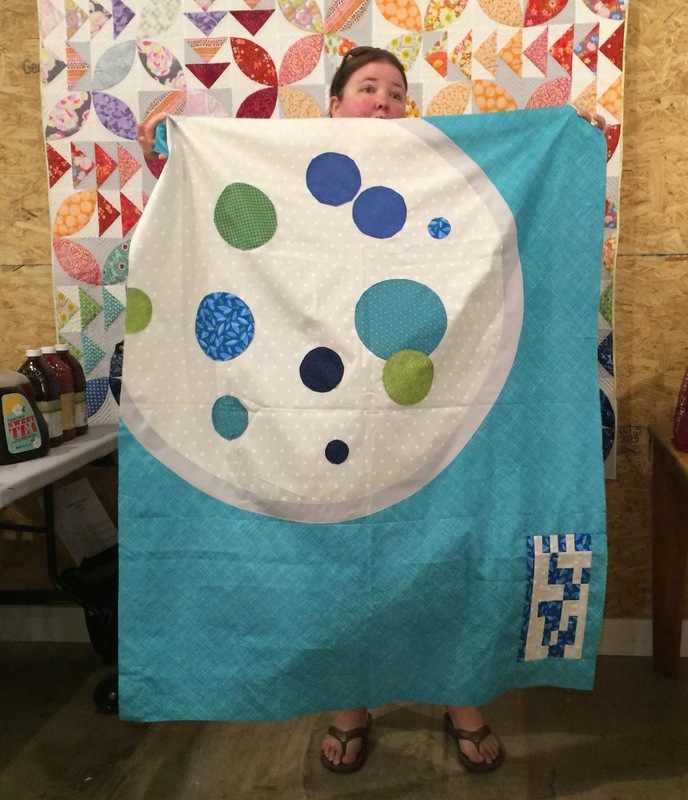 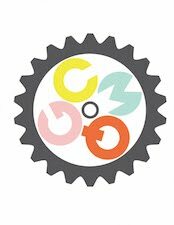 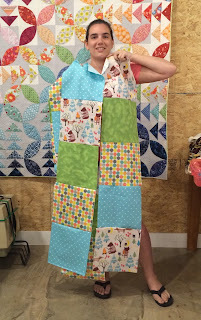 We will be meeting up at Gather Here on September 11th and September 18th from 11-3 to work on our QuiltCon quilt. 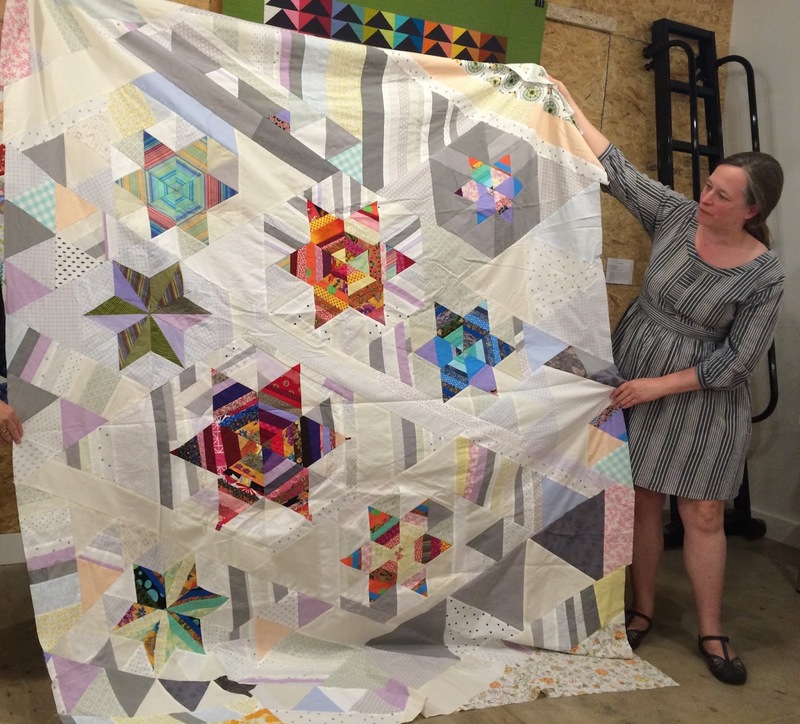 Please drop by if you can and help us get our submission all squared away (heh heh) before the holidays descend!